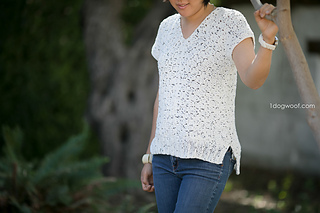 Two panels of corner to corner crochet join together to form a simple summer top. 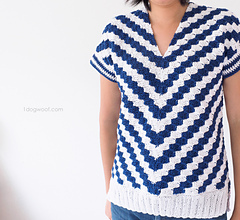 Make it solid, or just 2 colors for a striking chevron stripe! The pattern and instructions for size SMALL is available on my blog for free, along with descriptions on construction so you can do custom sizing. 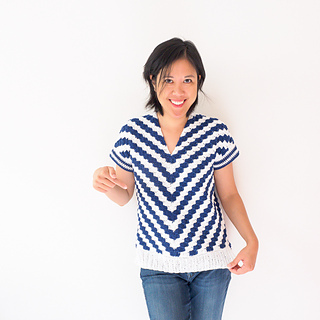 Exact instructions for sizes XS to XL are available for purchase as a PDF.